Does Low Cost Mean Low Quality? ABSOLUTELY NOT! Recently our low cost spay and neuter services and programs have been an “issue and concern” in the veterinary community. We’d like to address this inaccurate “MYTH” – Because NOTHING can be further from the truth!!! This sentiment is wrong on many levels, and highly insulting to veterinarians that SPECIALIZE in shelter veterinary medicine. These doctors have invested their lives AND careers making a better world for pets in need. Perhaps vets feel that low cost REALLY MIGHT mean low quality? Below you can read about WHY this concern is unfounded and inaccurate. Spay/neuter veterinarians and the clinics they work in are constantly learning and refining their surgical skills. This allows doctors to become very efficient in surgical techniques including minimizing tissue trauma, staying current on anesthesia and pain management protocols. 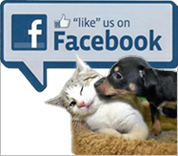 This maximizes your pets comfort during and after the spay neuter procedure. Does Low cost means low quality? This is not the case with most low-cost spay and neuter clinics. This is an unwarranted generalization. Many spay-neuter clinics are heavily supported by local donations and grants to allow for high-quality surgeries. Donations help keep our clinic running. Are standards of care, or standards of living, lower for those in spay/ neuter practice? The Association of Shelter Veterinarians’ Veterinary Medical Care Guidelines for Spay-Neuter Programs provides practical standards for high-quality, humane, and efficient care of veterinary patients in high-volume spay and neuter programs. These guidelines promote consistent, quality medical and surgical care for all patients in a variety of spay/neuter settings. OUR SHELTER CLINIC AND STAFF ARE PROUD TO ANNOUNCE OUR CLINIC MEETS AND EXCEEDS THE GOLD STANDARDS OF THE Association of Shelter Veterinarians’ Veterinary Medical Care Guidelines for Spay-Neuter Programs. Perhaps they DON’T correlate the mission of animal shelters NATIONALLY (including OURS) in which we are COMMITTED to DECREASING euthanasia – INCREASING adoptions and ENDING Overpopulation? We strongly believe, and statistics have shown that these goals can be accomplished through high volume spay/neuter at an affordable price which provides pet owners the ABILITY financially to provide such critically important, life saving veterinary services for their companion animals. 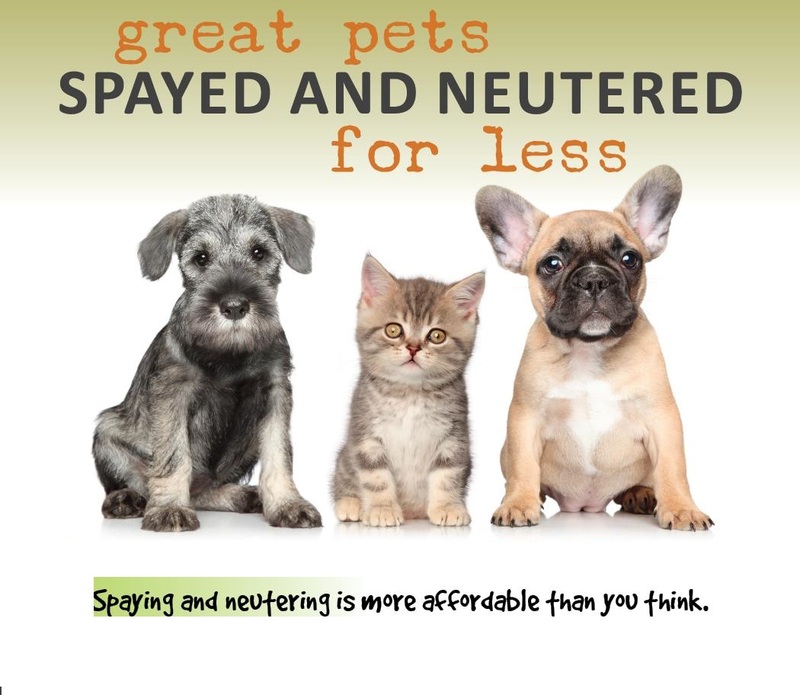 By offering Affordable spay/neuter this will increase pet owner’s compliance and likelihood that they WILL spay/neuter their pets and help stop the killing of MILLIONS OF ANIMALS each year due to overpopulation. Why is “low cost” necessary? Cost is the reason most often given by pet owners for not having their CATS fixed. In the U.S. 14%+ people live in poverty. People with low incomes are nearly as likely to own pets as are people with high incomes, indicating that many animals live in homes that simply CAN NOT afford full service veterinary care. 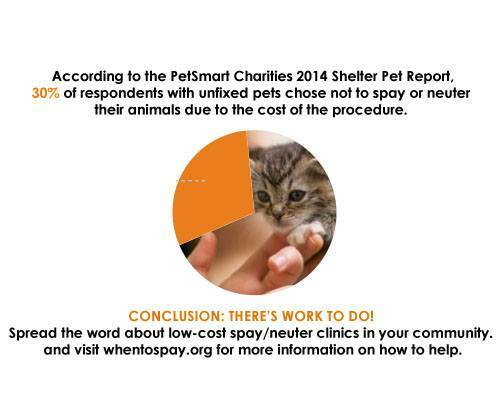 Low cost or even free spay/neuter is the ONLY WAY TO REACH these segments of the companion animal population. Providing veterinary services to those who could not or would not otherwise afford them demonstrates compassion, enhances the value of the veterinary profession, and protects public health and animal welfare – ALL OF WHICH ARE GOALS of shelters nationally. THE BIGGEST MYTH – If you have a surgery done at a low-cost clinic, your pet has a good chance of experiencing surgical complications. – This all depends upon the veterinarians performing the surgeries (our veterinarians are highly trained, extremely skilled and very experienced) and what kind of care they have access to. Though It is true that some shelter vets are pressured to pump out over 50 surgeries a day per vet, in which case the quality of care is bound to decrease. Imagine a small shelter trying to monitor 50 animals post-operatively and you can begin to imagine the chaos. With that said, OUR clinic focus more on quality than quantity. We feel the best care YOUR pet could possibly receive is by an organization that promotes caring, compassionate humane care and standards for not only shelter pets…but also YOUR pet/s. 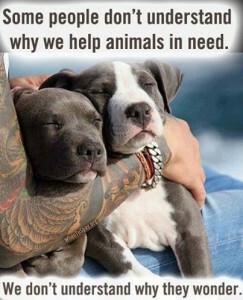 WE LOVE ANIMALS and WE CARE…its that simple! Our clinic staff cares for homeless pets every day so its natural we would care just as much for YOUR furry family member! Pets will benefit significantly medically and behaviorally by being spayed or neutered. Our on-site veterinary clinic opened in 2005 to provide spay/neuter and medical care for almost 2,000 pets coming through our shelter annually. Since opening, our clinic and shelter have expanded our services and programs for both people AND pets and to help many other organizations and the pets in our community. Unlike other low cost spay/neuter programs in New England – Our clinic is NOT subsidized by any grants/private funding or support – DONATIONS are always welcome. 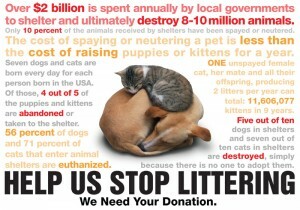 Do YOU Know WHY Animal Shelter Inc. of Sterling’s on-site veterinary clinic can offer low cost spay/neuter services? Because that’s the majority of what we do! Our on-site clinic performs almost 2,000 spays and neuters JUST FOR OUR SHELTER PETS that come through our shelter each year. In addition, we provide the same low cost services for several DOZEN additional animal shelters, rescues, responsible breeders and animal control officers throughout New England – which adds almost 2,500 additional surgeries each year! Our clinic averages 25-40 high quality, efficient, streamlined surgeries almost every day we are open. In general, it takes longer to prep a pet for surgery – than the actual surgery itself. WE ARE EXCELLENT at providing these services with compassion and care. Most importantly, OUR clinic doesn’t have the overhead most vet hospitals do, We don’t have walk-in emergencies, annual check-ups / exams, injuries, x-rays, lab work, and the day to day expenses (rent/mortgage) that go along with running a full fledged animal hospital. Our veterinarian and veterinary nurses are Humane Alliance trained. Humane Alliance is a nationally recognized organization that focuses on high-volume, high-quality, and low-cost companion animal sterilization and is the gold standard for high volume spay/neuter clinics. Our caring, compassionate veterinary staff have MANY years of high volume, high quality, low cost veterinary skills and perform thousands of spay/neuter surgeries every year, with excellent outcomes. Our clinic is staffed by (1) licensed veterinarians, (2) certified veterinary nursing technicians and (2) technician assistant that are extremely caring and compassionate and combined have worked in veterinary medicine and animal sheltering for over 25 years. NO INCOME VERIFICATION REQUIRED – our services are available to EVERYONE! NO hassles filling out pages of invasive financial information!!! Our highly trained/skilled veterinary technicians are equivalent to O/R nurses and provide technical support to our veterinarian/s in all aspects of animal care. They are educated to be the veterinarian’s nurse, laboratory technician, anesthetist, surgical nurse and client educator. Our clinic has state of the art equipment that is well maintained and constantly cleaned, maintained and calibrated. Our clinic maintains such HIGH protocols / procedures Tufts Veterinary University send their 4th year Veterinary Students for surgical training rotations to learn HIGH quality/volume techniques/procedures and protocols. Our clinic maintains such HIGH protocols / procedures we regularly accept and train visiting veterinarians, new Veterinary Grads, and Veterinary Interns who wish to develop better surgical skills and learn high quality -high volume surgical techniques. Our clinic ONLY uses the highest quality drugs, medications and surgical supplies – just like ANY other veterinary hospital. Our clinic specializes (and PROMOTES) in pediatric (spay/neuter for pets 8+ weeks and 2+ lbs) surgeries – where MOST vet hospitals DO NOT, CAN NOT, or WILL NOT perform despite all the benefits to the animals. There are MANY reasons pediatric spay/neuter benefits pets – click to learn. Surgeries are performed on heated surgical tables to maintain patient’s body temp. Our clinic provides spay/neuter services for Dogs and Cats: 12 weeks and older – Weight: 2 pounds (and up) and now offers spay/neuter for rabbits – rats and mice! Our clinic DOES ACCEPT Feral Cats for extremely discounted spay/neuter and ear-tipping – many clinics are not equipped to handle feral cats and will not work with them. Our clinic DOES ACCEPT female dogs/cats that may be/are in heat – most hospitals will postpone these surgeries or not perform. All animals receive FREE physical exams prior to surgery. All animals received pre and post-op pain medication. All animals receive a FREE nail trim $10 value. All animals receive a FREE ear cleaning $20 value. Larger or older pets have catheters placed and receive IV fluids during surgery. All pets are monitored by certified veterinary nursing technicians during their surgery. All pets are monitored by pulse ox (monitors oxygen saturation in the blood and heart rate) during surgery. All female dogs/cats receive a small tattoo on their belly indicating they have been spayed. All animals recover from surgery in their own comfortable recovery cages and fed a small meal post op. Post-surgical comfort includes heating units to keep pets comfortable and warm. Almost all animals have such small incisions they often DO NOT require external staples or stitches that have to be removed 10 days post-op. However, we do advise you see your regular veterinarian for post-op at 10-14 days. 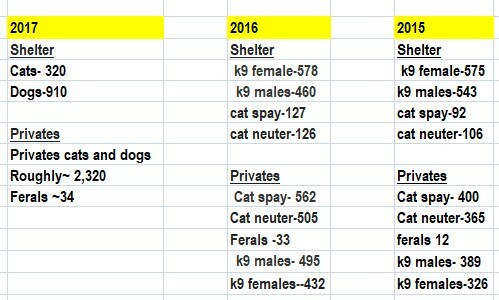 Our clinic provides many low cost veterinary services for dozens of New England animal welfare organizations, breed rescue groups and animal control officers that can NOT otherwise afford to provide for their adoptable pets, allowing them to maintain a 100% compliance rate on spay/neuter PRIOR to adoption. Our clinic periodically offers additional discounts or specials which can be found by following our clinic on Facebook. We are here to help all animals, and to dispel the MYTH – low cost DOES NOT MEAN LOW QUALITY! 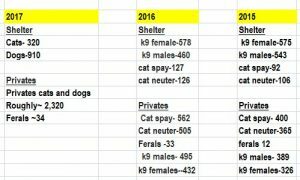 Unlike the majority of other low cost spay/neuter programs in New England – Our clinic is NOT subsidized by any grants/private funding or support so DONATIONS are always welcome. If we haven’t yet dispelled these inaccurate MYTHS for you yet, feedback from clients who’ve used our clinic services can be found in the Testimonials section.